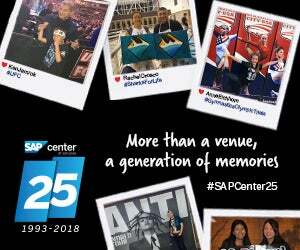 SAP Center at San Jose is celebrating 25 years of being the Bay Area’s favorite venue to make memories! 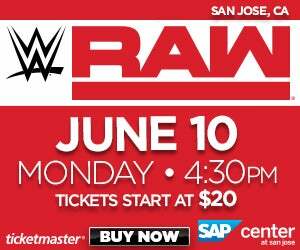 For the last 25 years, you have come to cheer on the San Jose Sharks, witness Olympic gold medal winning Figure Skaters and Gymnasts, marvel at March Madness, and of course scream, dance, and rock out to Metallica, Prince, AC/DC, and Beyonce. For the last 25 years, you have joined friends, met future spouses, brought your kids to their first concert, and made memories that will last a lifetime. While our social sweepstakes has concluded, we still encourage you to post to your social accounts your favorite memories you've had at SAP Center with #SAPCenter25. Stay tuned in 2019 for your next opportunity to win!